Tennis - 26. January 2019. 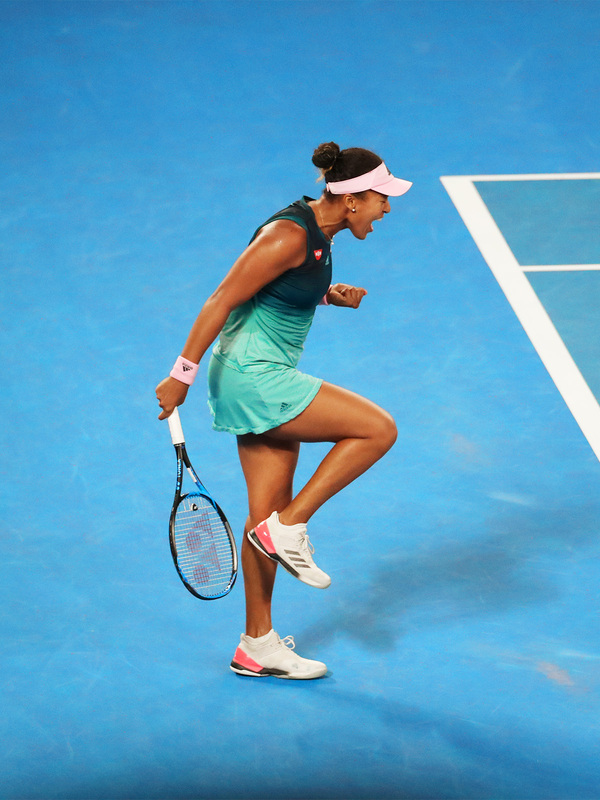 Naomi Osaka has won her second straight Grand Slam tournament by beating Petra Kvitova in the most dramatic of Australian Open finals. In a big-hitting, high-quality affair on Saturday night, Osaka squandered three consecutive match points in the second set and looked on the brink of unravelling before re-focusing to win 7-6(2) 5-7 6-4. After the bittersweet experience of winning last year’s US Open title amid controversial circumstances, this time Osaka experienced a truly joyous moment; an unreturnable first serve saw the crowd erupt, and the Japanese sank into a crouch at the baseline, overwhelmed. "Huge congrats to Petra. I've always wanted to play you," Osaka said during the trophy presentation. "You've been through so much and honestly I wouldn't have wanted this to be our first match. You're really amazing and I'm honoured to have played you in the final of a Grand Slam. "Thanks to my team. I don't think I would have made it through this week without you guys. Behind a tennis player is always a team and I'm really grateful." The Japanese becomes the first player to win two consecutive Grand Slam trophies since Serena Williams in 2015, and the first player to back up her maiden major title at the very next Slam since Jennifer Capriati won the Australian and French Opens back in 2001. And with the win comes another milestone – Osaka will become the game’s newest world No.1. At this time last year, she was ranked No.72.